(50% saving) Only a few left! Only a few left! Only a few left! Only a few left! Only a few left! 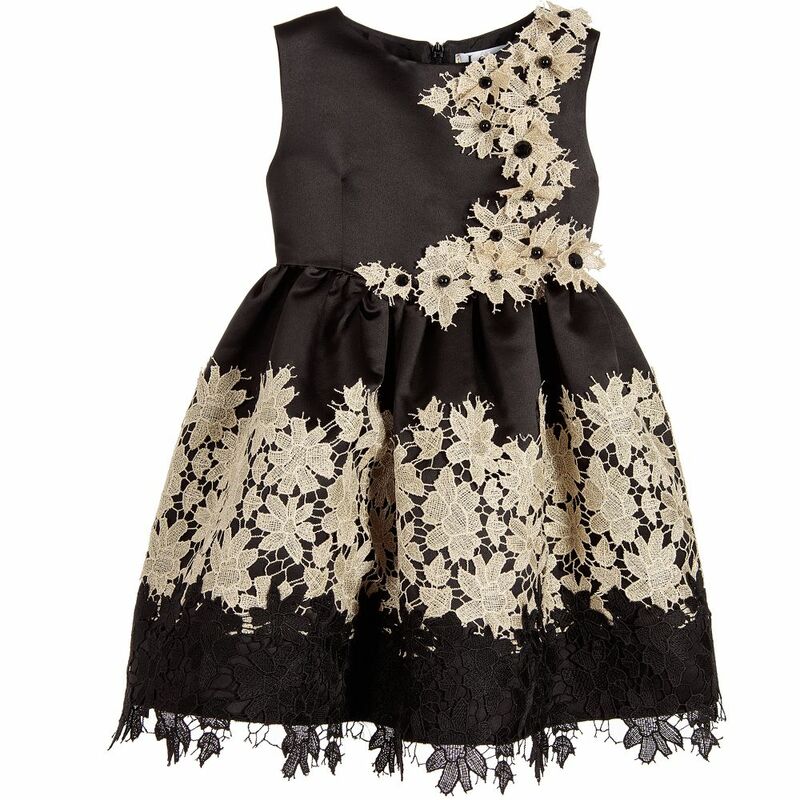 Girls beautiful black satin and gold lace dress by Lesy. 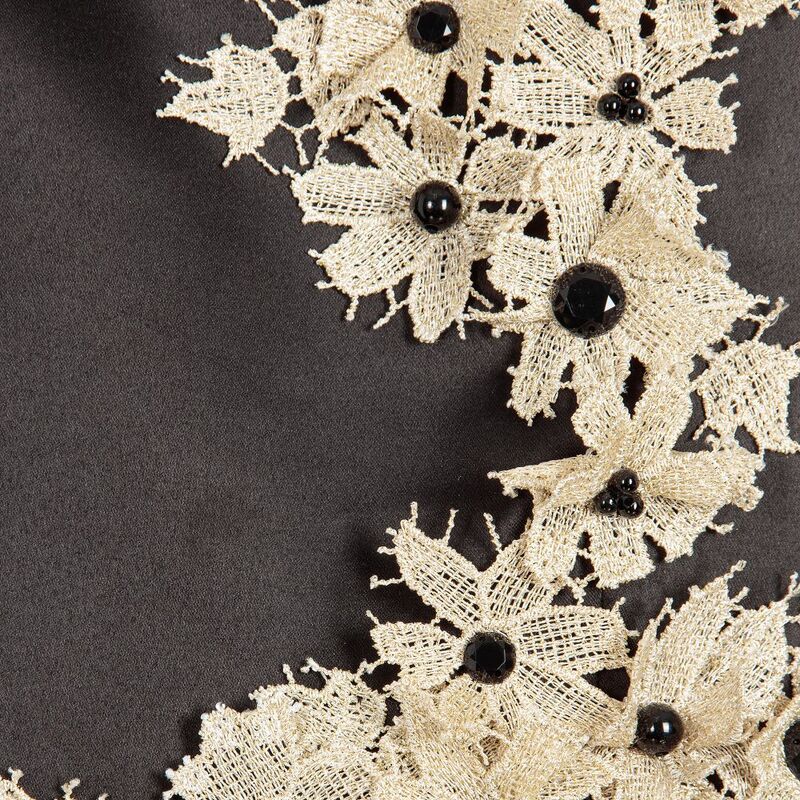 This stunning design has metallic gold lace embroidery, hand-cut into flower-shaped appliqué with black beaded centres. The bodice is fitted and sleeveless and gathered at the waist, flaring out into a full shape, with tulle petticoats that create volume. 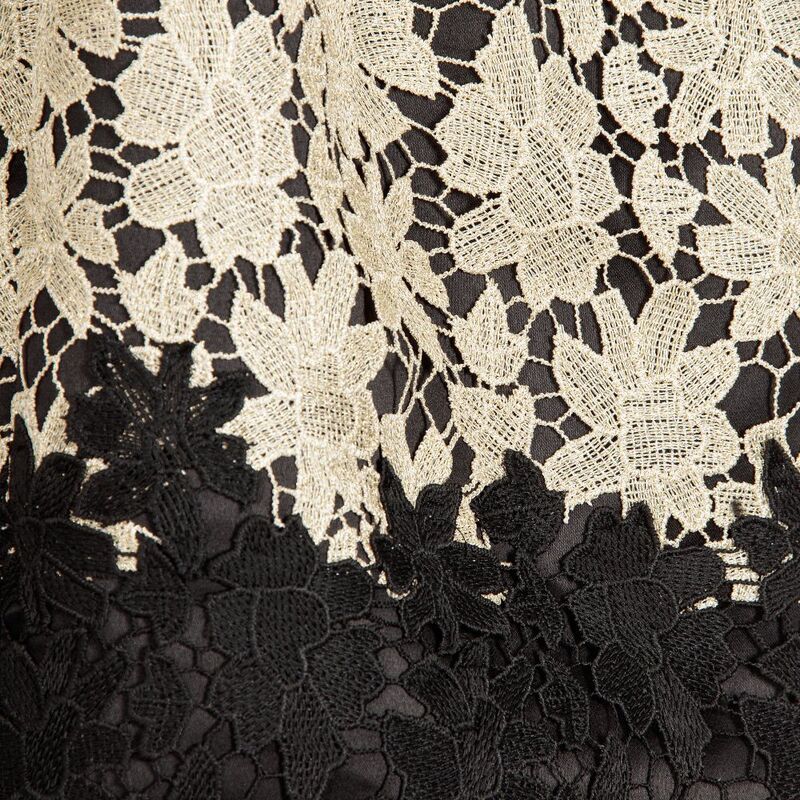 The hem is embellished with gold and black lace, with a cut-out effect and does up at the back with a concealed zip.